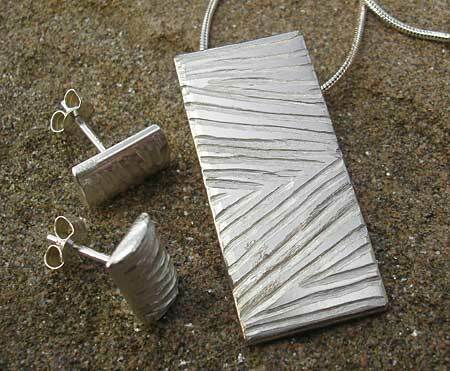 Textured Silver Necklace For Women : LOVE2HAVE in the UK! This silver necklace for women is made up of a rectangular pendant on a silver snake chain. 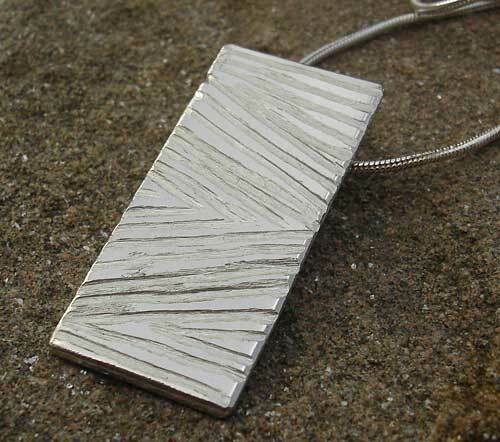 The necklace features a ripple lined textured surface in a matt finish. The pendant measures approximately 28mm in height threaded onto a 16-inch silver chain. A simple design piece that has an understated organic styling to its look. As pictured, matching stud earrings are also available from this website.